Just last month the Columbus (Ohio) Dispatch ran his column on prefabricated wall panels that “astonished” one of his readers. 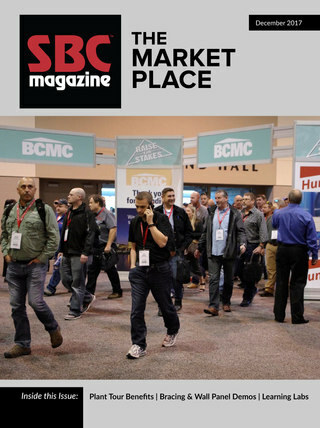 The article was published on March 17 and likely helped bring in some of the 722 visitors that visited SBCA’s Best Way to Frame website (bestwaytoframe.com) on that day alone. ProSales Magazine picked up the same article the next day and likely contributed to the near 400 visitors to the website on March 18 when it was posted. A: You may have had a similar experience to Steve. Perhaps you’ve passed a huge tractor trailer on the highway that’s loaded with prefabricated walls. You may have seen some other houses get built in hours instead of days. No matter, you need to realize that prefabricated walls, both interior, and exterior, can be used on your next project. Back when I was building I didn’t have the opportunity to use these magical building components, but they’re being used to construct my daughter’s new home right now. I witnessed the exterior walls of her home be set and secured in just a few hours. A standard carpentry crew could never achieve this task in the same amount of time cutting studs and headers and pounding nails at the job site. The prefabricated wall panels go together like giant Lego blocks. They’re perfectly square from the factory and the precision is astounding. My daughter’s home was 44 feet long and the dimension was only off 1/16th of an inch. It’s possible that error was in my tape measure, not the wall panels! There are countless advantages to using prefabricated wall panels. The walls are built in an enclosed factory so the material stays dry. High-tech computer programs are used to create the layouts and assist with the cutting of the material. Nails are driven exactly as engineering specifications call out. The walls can be delivered to the job site in the morning and the walls set by the end of the day. The factory generates a plan for the carpenters in the field to set the panels. The panels arrive in stacks so the panels only need to be pulled off the pile and put into position. The carpenters don’t have to scratch their heads trying to find a panel. They’re erected in the reverse order that they were stacked on the delivery truck. Builders and remodeling contractors are having increasing difficulty locating and hiring carpenters that treat what they do as a vocation instead of a job. If quality is important to you, then you’ll do whatever is possible to have prefabricated wall panels on your job. The builder of my daughter’s home had only dealt with prefabricated panels on one previous job when he was a carpenter. After setting all of the exterior and interior walls that make up my daughter’s two-story home in just a few days he told me that he’ll never again stick build a house again. He was astonished at the amount of time the panels saved him. Odds are any factory that makes these panels will gladly do smaller jobs for garages or room additions. You can find out for yourself by visiting a new website I discovered back in the fall: BestWayToFrame.com. 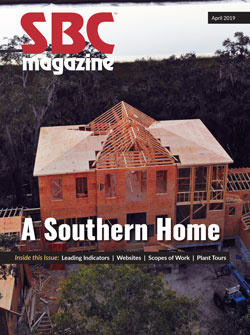 SBCA’s partnership with Tim is building awareness of the labor saving value of prefabricated wall panels and making an impact nationwide through his syndicated column and large readership. ‘Ask the Builder’: What’s the Value of Wall Panels?